Our Horizon Lunar Colony guide contains tips, tactics and strategy advice for dominating the new Overwatch map. 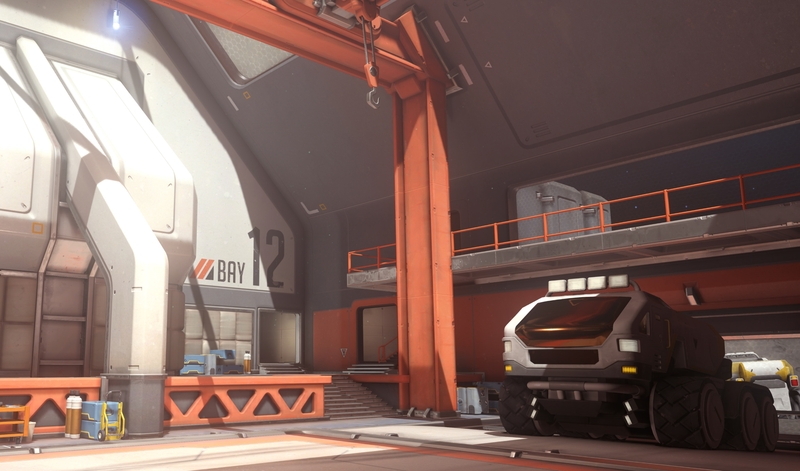 There's a new map coming Overwatch's way is just a few hours from now, and it's an Assault map called Horizon Lunar Colony. After a few weeks of the usual PTR testing, it's finally ready to be unleashed on the community at large. We've played a huge number of matches on this map over the last few weeks, and have been getting to grips with the low-gravity mechanics which make it such a unique experience within the map roster. 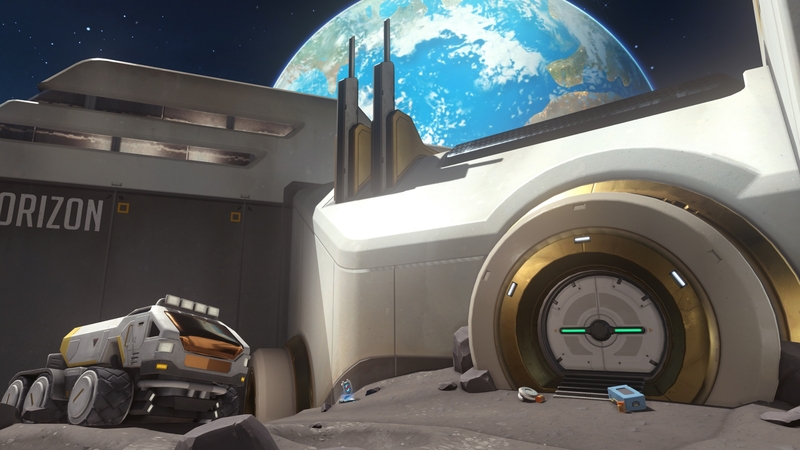 Now that we've got all this experience under our belts, we've comprehensively overhauled our Horizon Lunar Colony guide to help you dominate from your very first match on the map. Editor's note - UPDATE #1. With the launch of the new map almost upon us, we've taken the opportunity to update this guide considerably. You'll find essential tips for attacking and defending both points, and we've also included a video overview from Unit Lost. Shout out in the comments if there's anything else you'd like to see added to our Horizon Lunar Colony guide - we'll do our best to add it in when we next update the article! Both attackers and defenders on the first point have some interesting high ground options to make use of. Heroes like Widowmaker will have some particularly good opportunities for setting up a solid sniping position. The second capture point also has a number of low-ground options and flanking options. The developers know that sometimes on Hanamura it can feel very restrictive when teams approach the final point. They hope this new map gives new options for approaching the second stage of a match. The team explored a lot of gravity options for this space-based map. At first the effect was felt everywhere, but it very quickly became a gimmick. It was fun for a while, but ultimately it broke the game and took away from the competitive nature of Overwatch. They didn't want to get rid of it all together, and so when attacking you can head right towards airlock doors and enter a low gravity area. The team hopes it will provide lots of very cool player moments. Although it's use will be limited in the core game, when the map goes live low gravity will also be added to Arcade mode for use everywhere and on all maps! The developers are also using this opportunity to tell more backstory through contextual map environments. You'll be able to explore some of the areas featured in Winston's animated short, for example. That's the overview of how it all works then, but what strategies do you need to know about to gain the upper hand here? We've put together some useful tips for attacking and defending both points, so you can get off to a solid start. Running at the point from the low ground won’t give you much success. Use the high ground to your advantage! We found success by wrapping around to the right of the map immediately as we spawned. You want to reach the airlock and zero gravity zone as quickly as you can. It’s a great flanking route that takes you directly to the point, and allows you to rush the defenders by surprise if they’re not careful. If you’re in a group or even with a bunch of randoms, it’s worth getting everyone on the same page and swarming the point together. Point A is quite a small arena, meaning that it’s easy to overwhelm the enemy if you just pile in. Snipers can sit on top of the balconies that surround point A. They provide great vantage points that look straight down onto the point, and the threat of a sniper being there will force opponents to hide on the point or in the narrow tunnels - exactly where you want them. Mobile heroes and flankers like Winston and Genji are perfect for taking point A, as they’re able to quickly close the gap between the spawn and the point itself. More importantly, they can take advantage of the environment and the near endless number of spots to clamber upon. Much like Numbani, getting a swift elimination at the start of the round gives you an immense advantage when it comes to capturing the point. The defending team have a ludicrously long run if they want to get back, so focus your attention on a vulnerable target and make it your goal to take them out. The attacking team will try and take the high ground, so make sure you’re contesting it. Make your presence felt on the balconies surrounding point A and rain bullets from above. Heroes like Soldier:76 thrive on the balconies. He can sit up there all day with his healing station, dinking targets as soon as they try and push forwards on the low ground. Try and lock down the narrow entrances that the enemy will try and use to flank around the point. See them as mini chokepoints and force them to find an alternative, or risk wasting time trying to get through you. As the run from spawn is effectively a marathon, try and choose heroes that can take care of themselves through self-healing, or defense heroes like Torbjorn who can make objectives near-impenetrable. This way, you’ll minimise losses and make it even harder for the enemy to get the one elimination they need to crack open your defence. Mercy’s Resurrection can be a great tool for negating a successful attacking push, or dive composition. Point A’s a small arena that the enemy must commit to fighting in together. If Mercy can swoop in and revive one or two or her teammates in this enclosed space, it can be just enough to swing the momentum back in your favour. Here's Stylosa of Unit Lost Gaming's take on Horizon Lunar Colony. Make sure you watch this through to the end as it will help put all of our advice into context! There’s plenty of entrances to choose from, but approaching the point the from left seemed to grant us the most success. It’s here that you can flank enemies from the side or run straight onto the point without being too exposed. Taking the high ground using the entrance on the right side is essential to gaining control of the point. It’s a narrow balcony, so be careful of clumping together and getting caught by a barrage of fire though. We recommend splitting up and using all the options available to you, rather than charging through one entrance as a whole group. This way, you force them to constantly check each entrance and this increases their chances of getting picked off. If you manage to get catch one enemy and eliminate them, it’s worth calling out to your team and getting everyone to capture the point. Doing this forces the enemy to fight you at a man disadvantage or risk losing the game fast. Right above the point itself is - what can be best described as - a moving metal framework you can perch on top of. It’s a sneaky position if you’re playing a hero who’s able to get up there, as it’s an easy spot for enemies to miss. Just imagine a Death Blossom as you plummet from the skies! Cover as many entrances as you can to try and prevent enemies trickling in from all sides. If you don’t, you’ll be overwhelmed quickly. Playing a flanker here isn’t a bad idea, and we did well harassing the enemy as they approached the point from their spawn. Tracer or Genji are great at disrupting the enemy team as they’re running towards the high ground, or if one or two more vulnerable damage dealers attempt to flank. The more you can delay them from getting on the point, the better. You want mobile heroes for this point considering the amount of vertical space there is. Heroes like Winston, DV.a and Lucio are perfect for taking advantage of the environment and covering the many angles attackers can approach from. Don’t let the enemy take control of the high ground otherwise they’ve got even more options to capture the point. What’s more, it’s even harder to wrest it back once it’s gone.